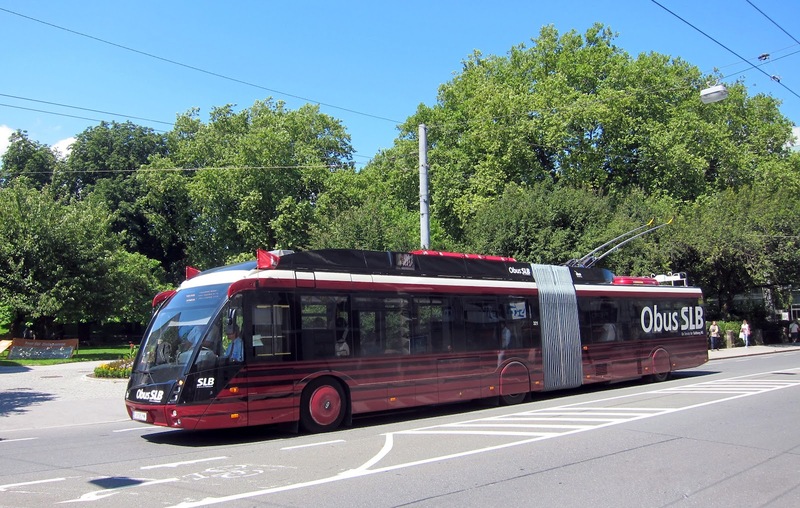 The city's new buses 321-330 are a joint product of Solaris Bus & Coach S.A., Bolechowo-Osiedle (Poland) with electrics from CEGELEC a.s., Prague, and electrical assembly by EKOVA, Ostrava (Czech Republic). An info pdf (German) here. Salzburg has had Oberleitungsbus (trolley bus) operations since 1940. Pic taken by Geoff Churchman in Rainerstrasse.